No matter what products you deal in or what kind of work you do in your warehouse, the odds are pretty good you’ll have some gas canisters around. Whether it’s fuel for your forklifts, welding supplies, or simply industrial chemicals that haven’t made their way to your clients yet, gas canister storage is a crucial part of safety in warehouses and the utmost care must always be taken with these items. 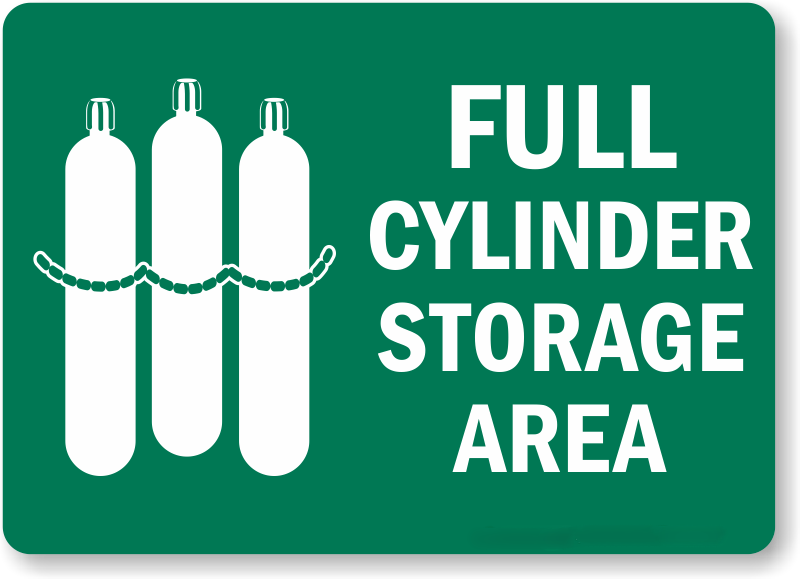 The first step towards safe gas cylinder storage is to make sure you can properly label and identify each type of canister you store. Generally, industrial gases are stored in one of two types of container: LPG tanks (the long skinny kind often used to fuel forklifts) and compressed gas bottles, the wider and shorter kind used in industrial applications such as welding or cutting. These two both have specific storage requirements, and furthermore should not be kept too close to one another to prevent accidents. This is likely something you’re used to doing in your warehouse, but gas canisters need to have secure storage and limited access to help reduce accidents and ensure only trained, skilled workers can access them. Keep all gas canisters behind warehouse security partitions (or at least marked off by guard rails) to reduce access to only the workers with the training (and in some cases certifications) to use these canisters. At first this may seem like an obvious concept, but it requires constant vigilance and foresight on everyone’s part to avoid issues. Particularly in areas with a lot of exposed wiring, frequent water spills (from equipment or leaky roofs), or other environmental concerns, keeping your gas tanks in an area where they can avoid rust or damage is crucial. Due to the potentially hazardous materials being stored within, many federal and state safety regulatory bodies (especially OSHA) have provided specific guidelines for storing these products that must be followed to the letter. For example, OSHA requirements state that tanks being stored indoors must be kept a minimum distance from staircases, doorways, and other points of access or exit to the building, and these requirements can vary wildly from state to state. Empty tanks, in many situations, need to be treated with the same care as full, usable tanks. Keep empty tanks separated from usable tanks and follow similar rules to storing them (avoiding open flame, staircases, etc) until they can be properly disposed of and/or collected by the distributor you got them from, as many of them will accept reusable, empty containers. Finally, when the time comes to move your canisters into or out of storage, make sure to use the utmost care when moving them. Inspect for leaks, physical damage, broken rings/seals around the top of the canisters, and avoid dropping them or letting them collide with anything along the way to keep them as physically intact as possible. This will go a long way towards preventing issues down the line. Really helpful tips for maintaining workplace safety.